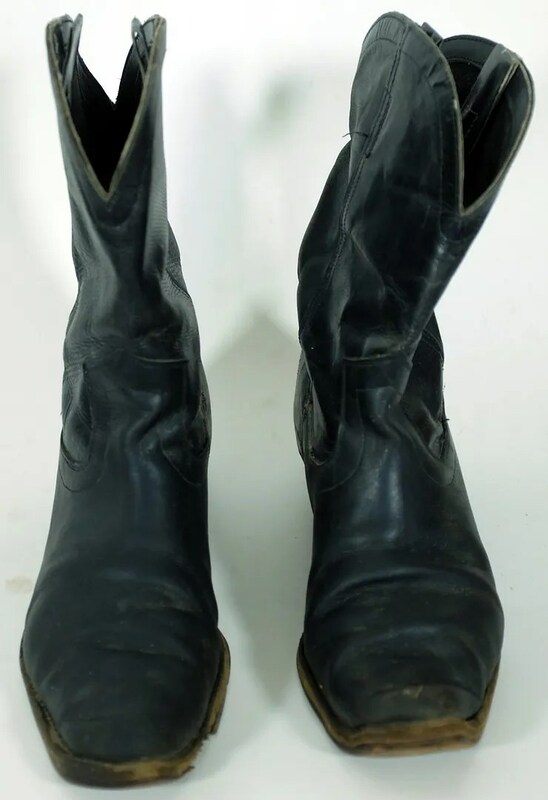 These vintage boots were made in the 1930s, and have short shafts with a deeply scalloped top cut. They have leather soles and narrow, tall, nailed leather heels. 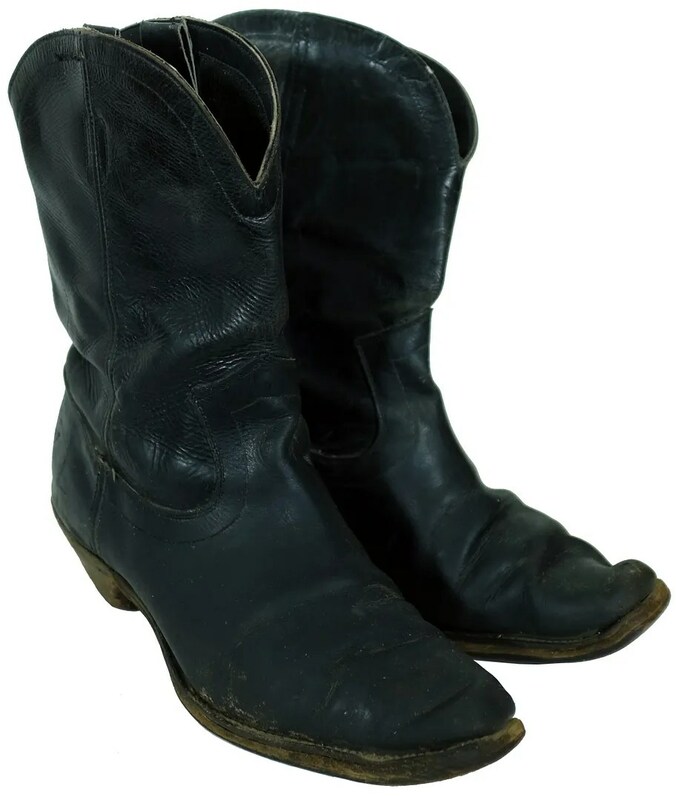 While the flashy boots of the ’30s-’50s survive, the plainer, workingman’s boots like this are extremely hard to come by. 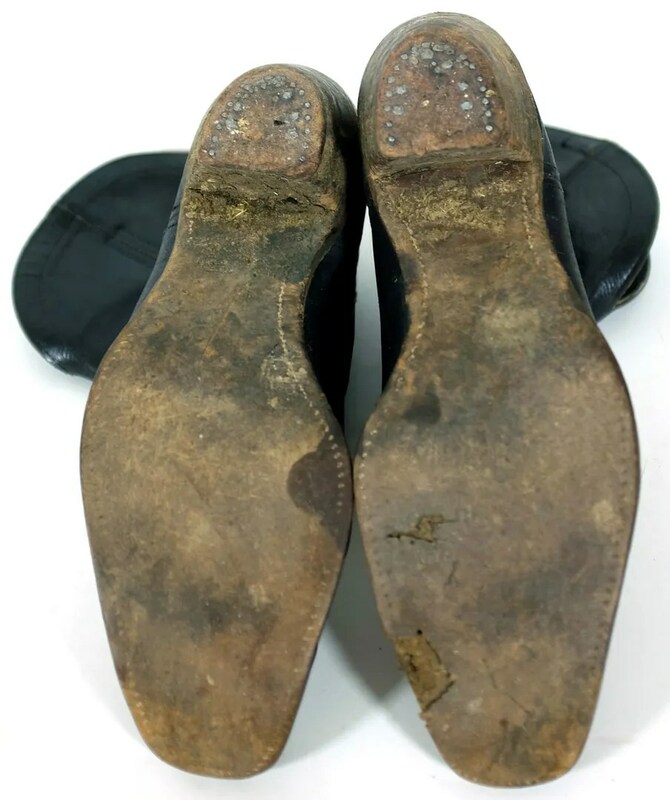 They measure 12″ heel to toe, 4″ at the widest point. 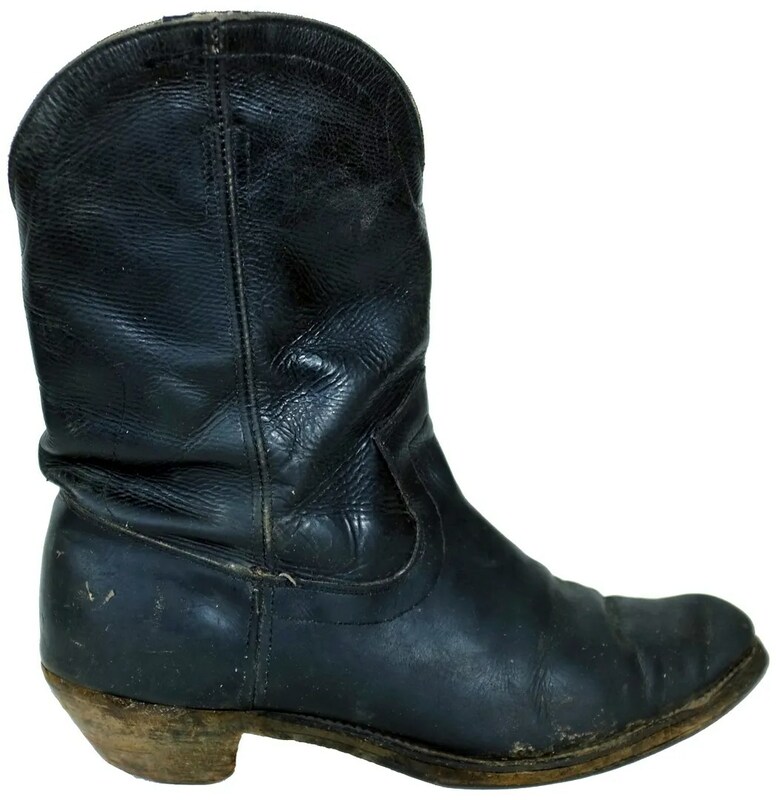 While the leather isn’t cracked, it would take some work to get these back into wearable condition. 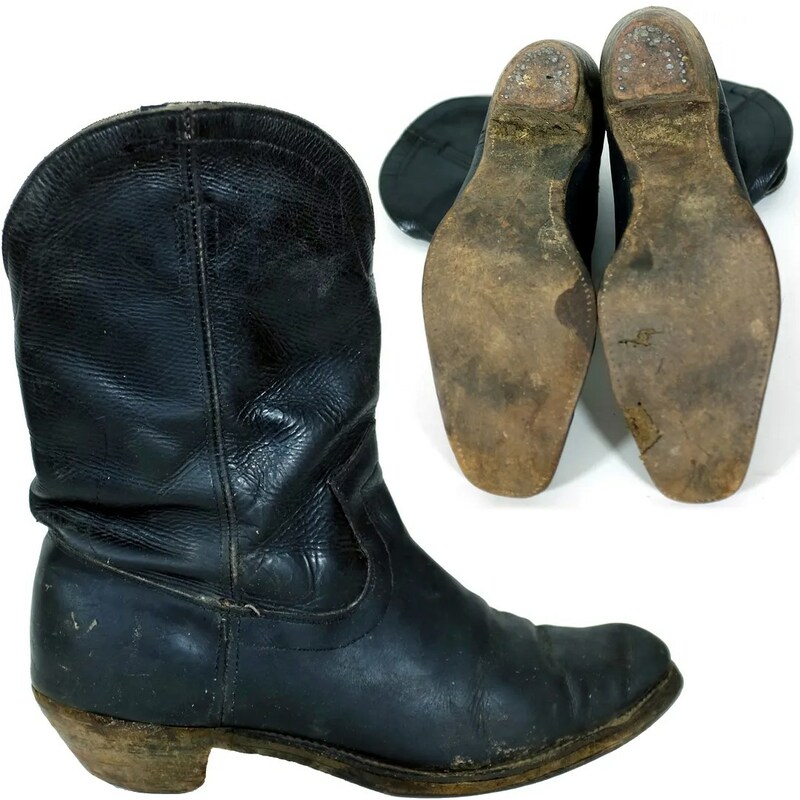 This entry was posted in Shoes and tagged 1920s, 1930s, black leather, boot, boots, cowboy boot, fashion, leather heel, leather soles, mens, nailed heel, original, peewee, riding heel, shorty, style, vintage, working cowboy, workwear by Spencer Stewart. Bookmark the permalink.